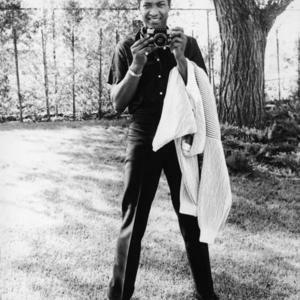 Samuel Cooke (born January 22, 1931 in Clarksdale, Mississippi; died December 11, 1964 in Los Angeles, California) was a popular and influential American gospel, R&B, soul and pop singer-songwriter and entrepreneur recognized as one of the true founders of soul music. Often referred to as The King of Soul, Cooke had 29 Top 40 hits in the U.S. between 1957 and 1964 including major hits You Send Me, A Change Is Gonna Come, Chain Gang and Wonderful World. Cooke was also among the first modern black performers and composers to attend to the business side of his musical career, he founded both a record label and a publishing company as an extension of his careers as a singer and composer. He also took an active part in the American Civil Rights Movement.